Baracuta G9 Winter Made in England Harrington Jacket in a Vintage autumnal brown houndstooth check. Crafted from a sublime textured pied-de-poule check pattern with subtle Retro button detailing and contrast black ribbed trims. 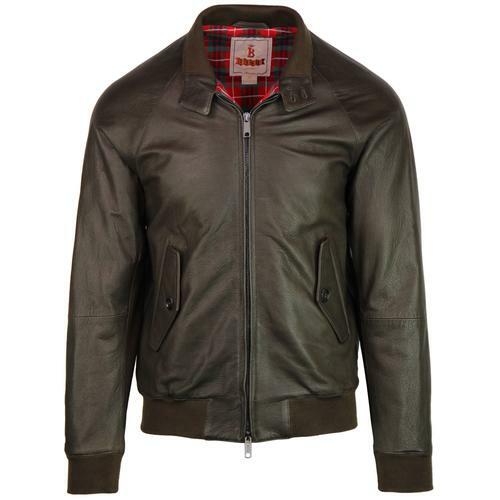 Dressing icons since 1937, the Baracuta G9 Harrington Jacket has been sported by the likes of Elvis Presley, Frank Sinatra and perhaps most famously the King of Cool, Steve McQueen! 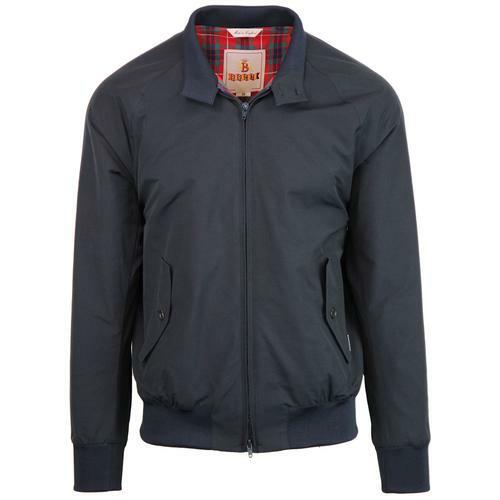 This Baracuta G9 Winter Harrington Jacket incorporates the same timeless style, attention to detail and versatility as it's brother, the Baracuta Original G9. 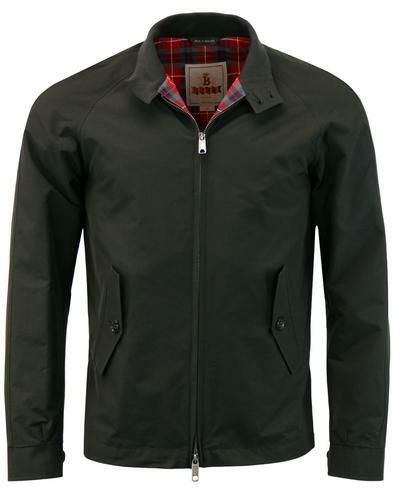 The 5 point umbrella back vent is designed for breathability and practicality, but also serves to enhance the garments aesthetic appeal - indeed the vent is now a trademark of the Baracuta G9 Harrington - A jacket that is often imitated, but never bettered! The lining in this particular Winter G9 Harrington jacket is in black to match the ribbed trims - A carefully considered design choice to maintain the refined and sophisticated edge that the garment undoubtedly possesses. And what else can you expect from the Baracuta G9 Winter Harrington Jacket besides the exquisite houndstooth construction? Well, you can expect expert craftsmanship, Made in England quality and the double zipper detail (to prevent stress occurring at the bottom of the zipper). The Baracuta G9 Winter Harrington in brown houndstooth. An autumnal vintage colour way, inspired by the great outdoors, designed for everyday life! A Retro classic that has stood the test of time, the Baracuta G9 Winter pied-de-poule Harrington Jacket is the very epitome of Mod style! 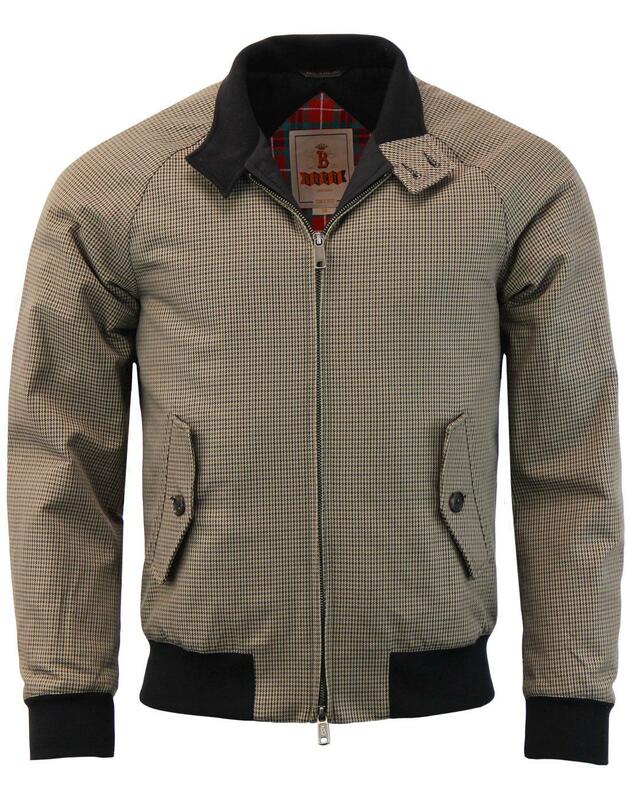 - Baracuta G9 Winter Harrington jacket in brown houndstooth. - Vintage textured pied-de-poule (dogtooth) shell in subtle brown hues. - Colour: Brown Houndstooth Check. - SKU: BRCPS0358 1475 G9 Winter Harrington. Composition: Shell: 100% polyamide. 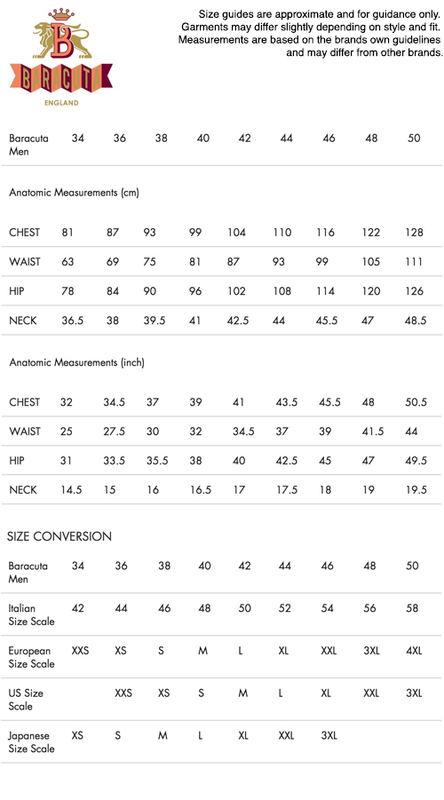 Lining: 65% polyester, 35% cotton. lining 2: 100% polyester. Insulation: 100% polyester.